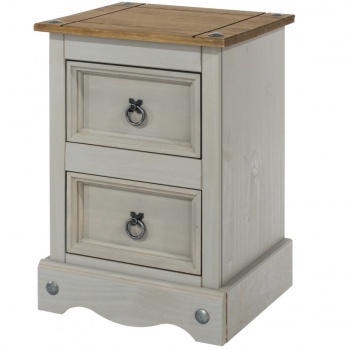 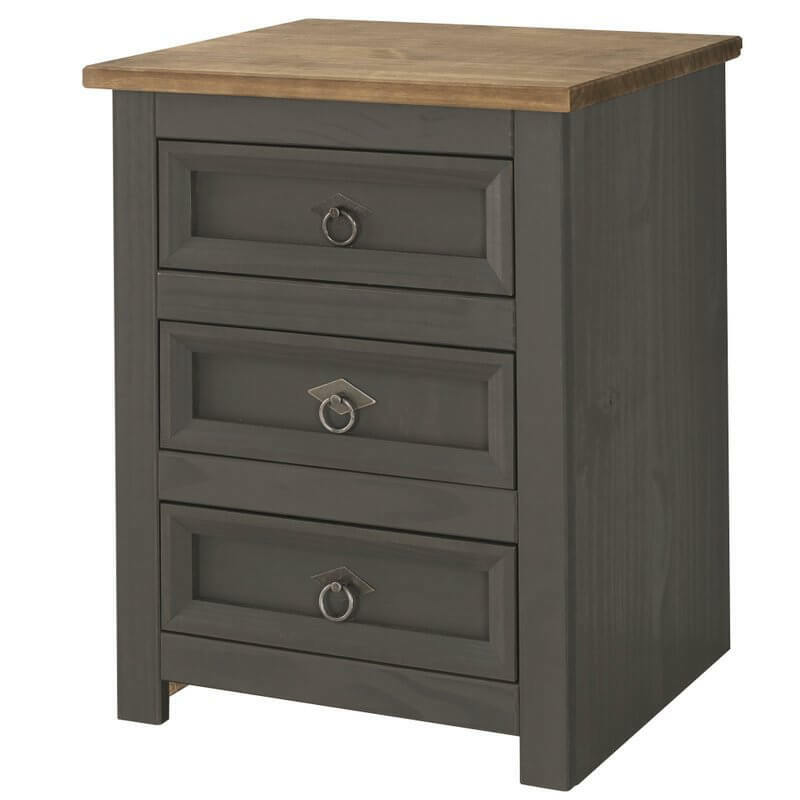 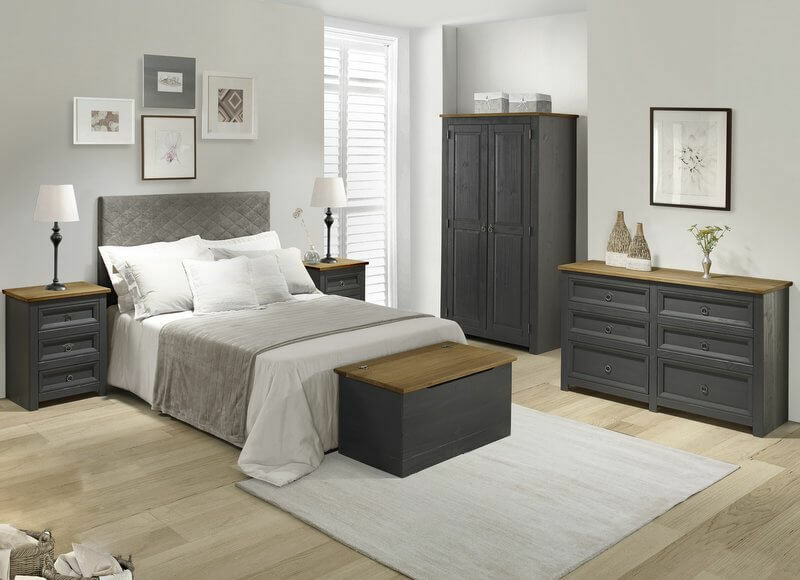 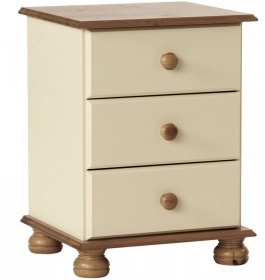 With three drawers this bedside table creates plenty of useful bedside storage space. 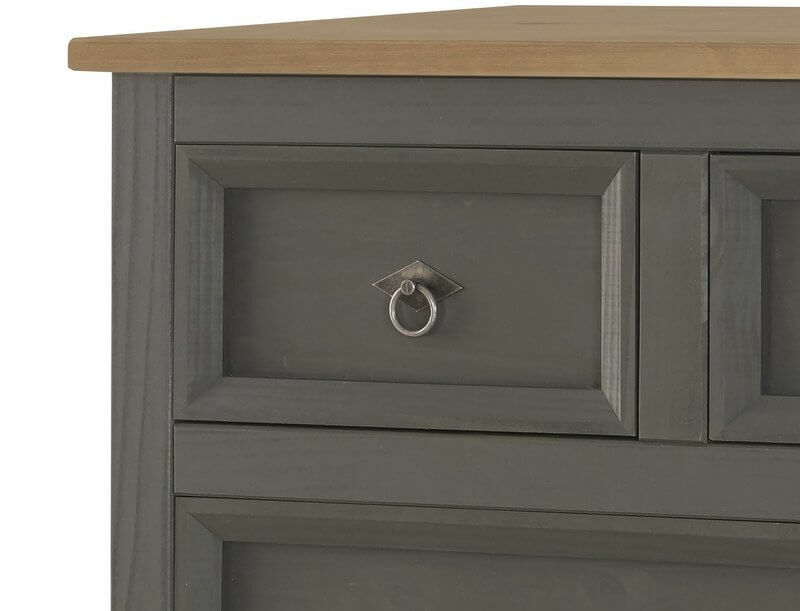 Fashionable carbon dark grey cabinet compliments the gun metal finish gun metal handles beautifully. 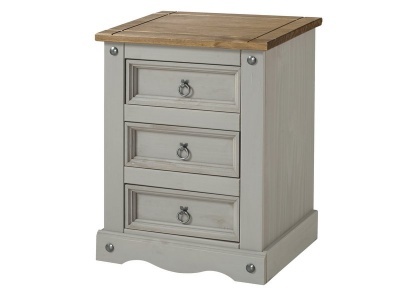 Chunky pine top and simple line drawer moulding give a shaker feel to the piece.